In Germany 80% of new homes have a basement, so we are slowly following other countries. 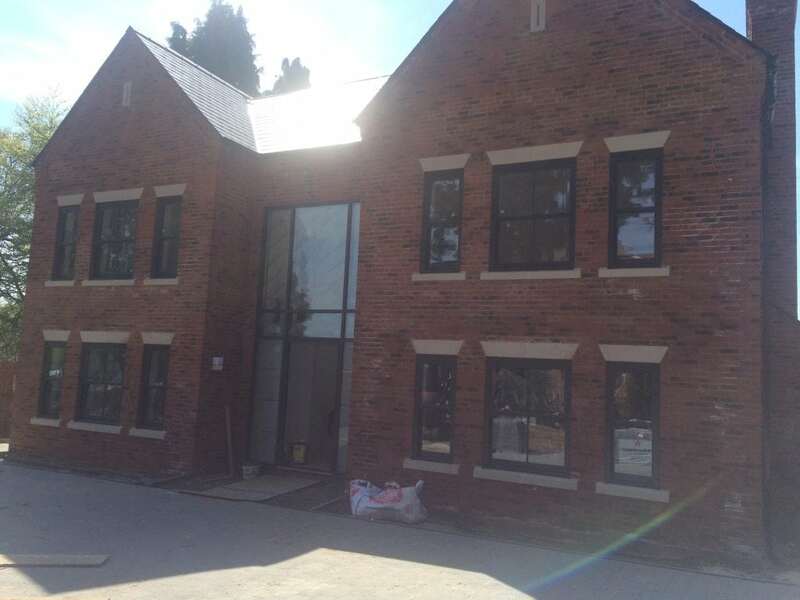 If you are thinking of doing a self build it makes perfect sense, increasing your living space by at least half and can double the value of the property. so many options and great use of the space available. You could even let it out as a self contained home to recoup the initial cost over a period of time. 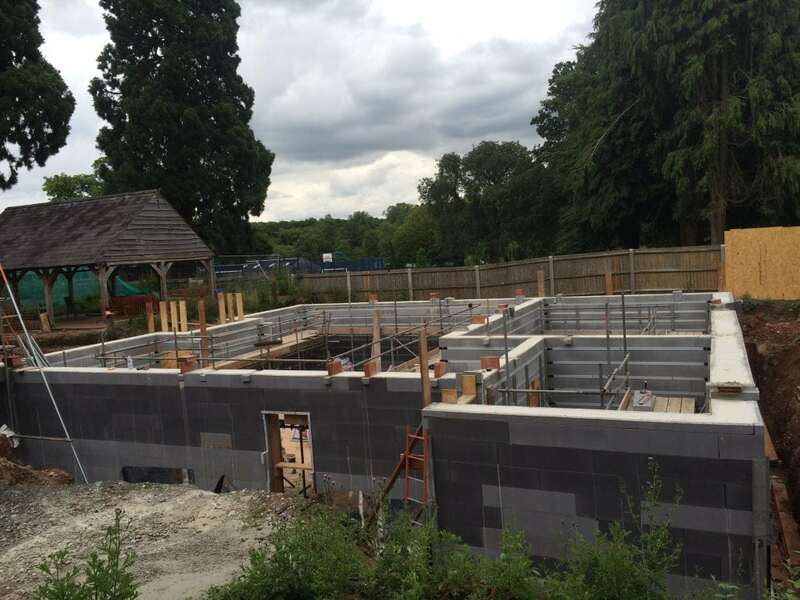 We have been specializing in basements for over 15 years now and use a great trusted system and have a really good working relationship with our suppliers and can offer you the best U values and knowledge and experience. All that extra space as the photo shows. The house now built with the basement in previous picture underneath. 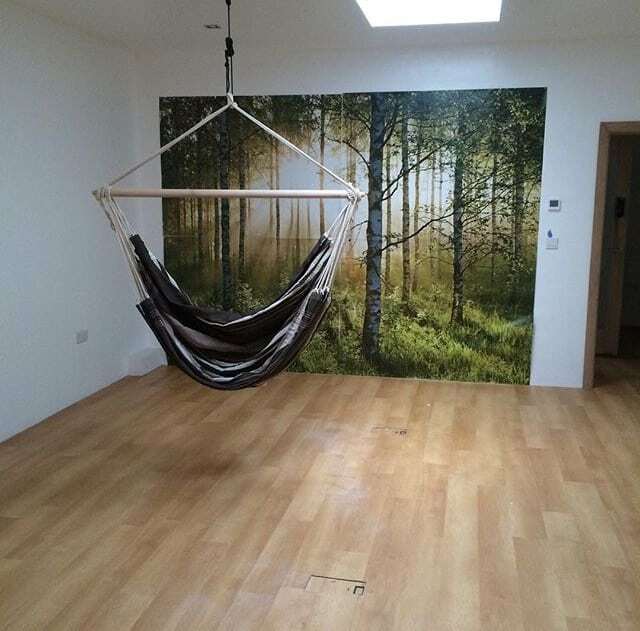 So you have had an extension and converted the attic and you still want more space and donʼt want to move, a basement build is your best option. The cost of moving, finding the right property is hard and you are happy where you are, your children settled in school, you are extending your family, need an office to work from home, you have so many options, we have done many different projects over the years and will help you achieve your ideas and dreams. 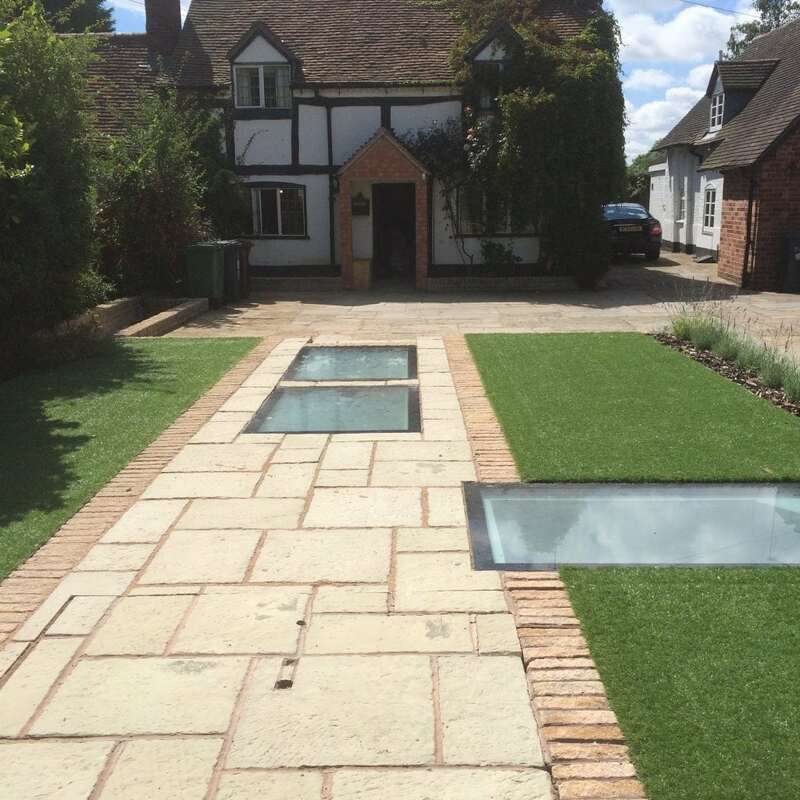 Why not build a basement on the side, back or even front of your home, the drive or the garden would simply be placed back on top and hardly anyone would know what great space you have available. 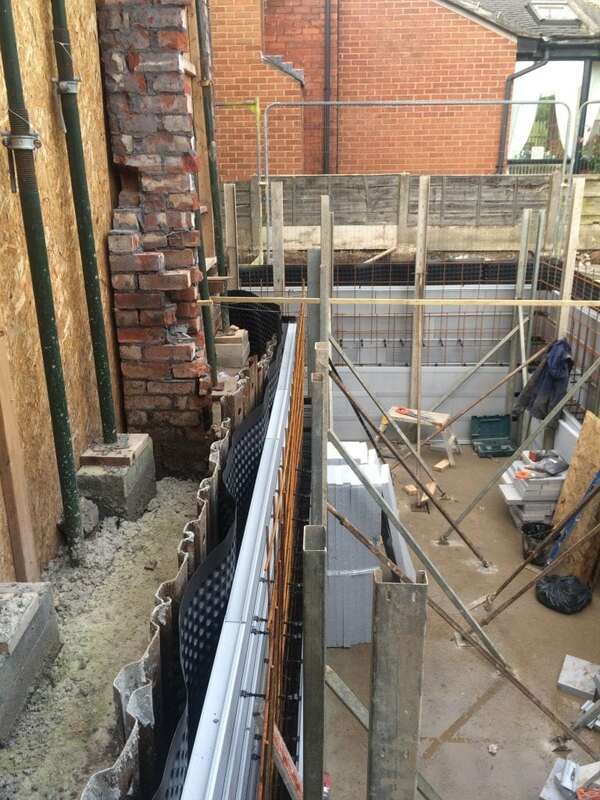 Have your extension built, above a basement linking it to your home and creating even more space. 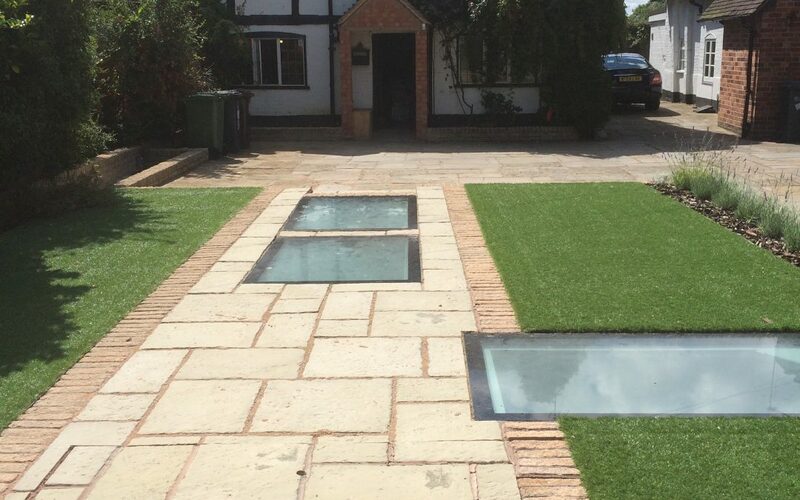 As you can see the drive way has had the slabs placed back and a nice terrace walkway area with artificial grass and also some roof windows creating impressive light in the basement. Also an exit/entrance trapdoor which opens up for access. Linked to the main house via a corridor which goes into the main house. 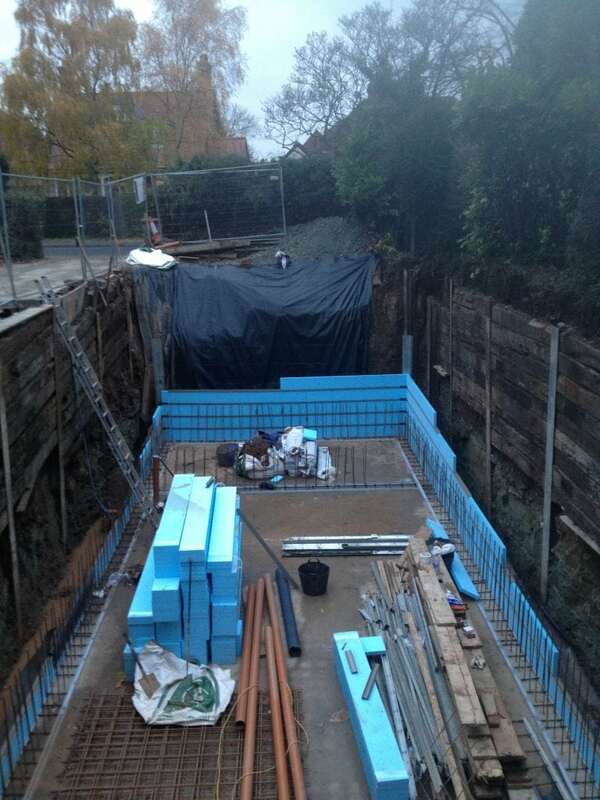 This is the basement in question, during the construction phase. 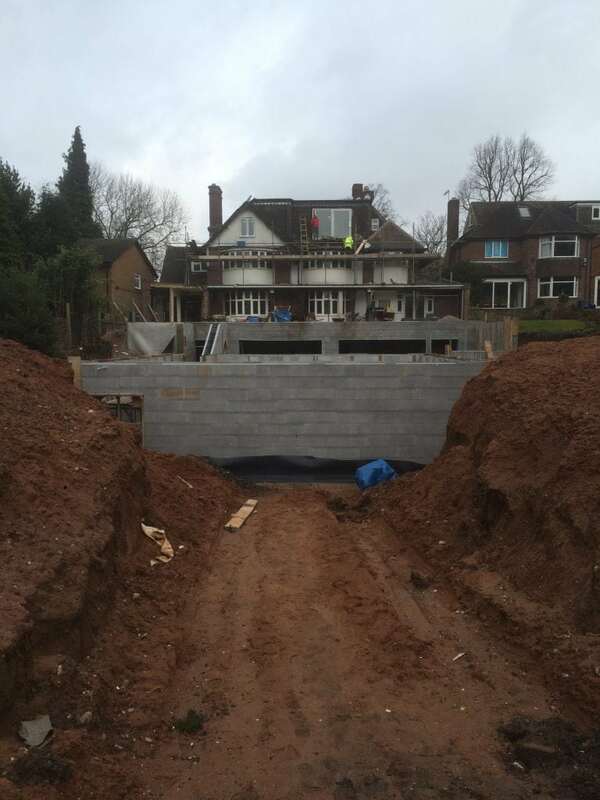 So thats the front and the side of a property, here is a large basement project in Moseley, Birmingham. Using the back garden for the available space. Two more basements to go on this project from the photo, please see portfolio for other photos of this project and other basements and builds. As you have seen and read, let me help you create a great living space and a beautiful basement for your required needs, we have a vast knowledge of basement projects and years and years of experience and happy to help you.